Prominent & Leading Manufacturer from Ludhiana, we offer portable office container, prefabricated portable office, shelter for defense container and mobile workstation. 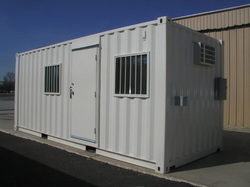 With our spacious experience and knowledge, we are engaged in offering a wide range of Portable Office Container. 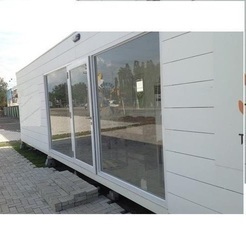 Offered office container is precisely developed by using quality assured components and sophisticated technology in fulfillment of industry standards. Our office container is tested on numerous parameters so as to deliver a defect free range. Also, we offer this office container in various specifications as per precise requirements of our customers. Backed with immense industry-experience and knowledge, we are involved in offering comprehensive assortment of Prefabricated Portable Office. The offered portable office is designed by our experts using finest material & leading techniques in adherence with the set norms of industry. This portable office is checked from our side so as to dispatch a flawless range at customer's end. In addition, we provide this portable office on numerous customized options as per the demand of our clientele. 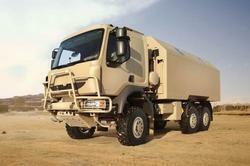 We rule the market in offering a qualitative assortment of Shelter for Defense Container. The offered product is designed by using modular components & leading techniques in accordance with the set norms of industry. As well, our offered product can be customized as per the customer's specifications. Our customer's can avail this product from us within a given time frame at nominal rates. Backed by rich industry experience and knowledge, we are offering premium quality range of Mobile Workstation. 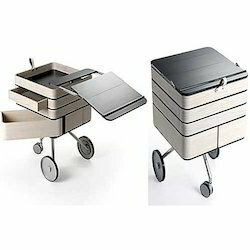 Our given mobile workstation is available from us on several customized options as per the demand of customers. This mobile workstation is manufactured utilizing quality assured material and modern techniques as per the set standards of market. This mobile workstation is appreciated in the market due to its less maintenance.